Over the weekend I attended an excellent seminar by Dr. Thomas W. Jones, who among his many credits is author of Mastering Genealogical Proof and co-editor of the National Genealogical Society Quarterly. 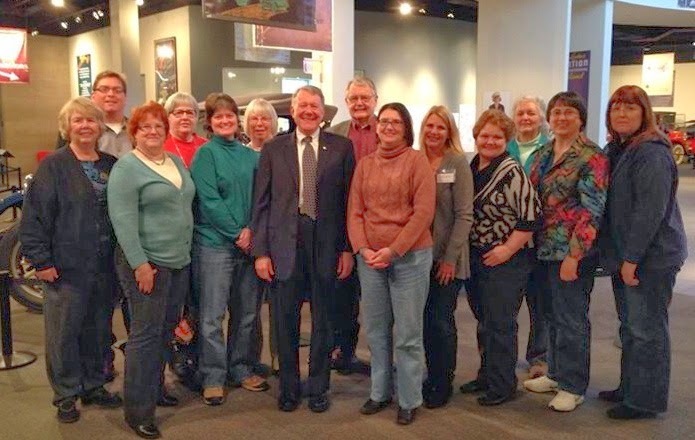 The seminar was sponsored by and held at the Western Reserve Historical Society in Cleveland, Ohio. Tom gave four presentations packed with strategies and guidance for effective genealogical research, analysis, and correlation. I came away with valuable insights to apply to my most challenging cases, including those where sources disagree or evidence is lacking. But the point I want to share with you today is one Tom made at the very end of the day, in response to an audience question. I think it resonates with genealogists and family historians everywhere, regardless of location, skill level, technological comfort, or other factors. His point? Preserve today what could be lost for future generations. Think about that. What memories or unique knowledge of the past do you have? What research have you done that could be lost or thrown out by heirs with less interest or space? What family surnames are in danger of dying or “daughtering” out? What irreplaceable records do you hold that could disappear in a fire, flood, tornado, or other disaster? What relatives have you been meaning to interview or ask for a DNA test? What stories or conclusions have you intended to write about? So simple. And yet, such a challenge. As we struggle to solve the puzzles of our ancestry and make the right connections to our past, we often become mired in that past. It’s easy to push on researching, and harder to step back and pull things together for a book, article, or even a source-cited blog post. I’m as guilty as anyone. With so much competing for my time, writing my own family history stories typically falls to the bottom of my to-do list. What can you do now to make sure your family history doesn’t get lost? Become a collector of family lore. Talk to your parents, aunts, uncles, cousins, and siblings to get their stories, scan their photographs, and learn about their heirlooms. While you’re at it, ask your relatives if they’d be willing to take DNA tests for genealogy. Genetic genealogy is still developing, but holds great promise for solving family mysteries when used in conjunction with traditional research. If you have an irreplaceable, one-of-kind record, such as a family Bible record, scan or photograph it, then give a copy to a genealogical society. See if they’d be interested in publishing it in their newsletter or journal, preferably with a word-for-word transcription. Pick an ancestor or family that you’ve compiled records for, organize the material in chronological order, and write a summary. Cite all your sources and tell what conclusions you’ve reached. For added interest, pull in pertinent historical detail and craft it as a story. Share it by giving copies to relatives, submitting it to a local or state society publication, and/or posting it on a blog or website. 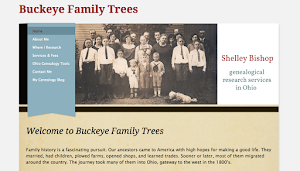 The blog series 52 Ancestors in 52 Weeks, coordinated by Amy Johnson Crow, is designed to help you share short individual stories. If you don’t have a family history blog, consider starting one. It’s an easy way to share documents, photos, and pieces of your family history, and can lead to connections with distant cousins who might hold additional pieces of the family puzzle. A multi-generation family history chart or book can become a treasured keepsake. Don’t let the size of the project discourage you—just get started. I made a chart for my husband’s parents with the help of Family Chartmasters, and found it very rewarding. Because facts on the chart aren’t cited, I printed out family group sheets identifying the sources of my information and attached them to the back of the frame. If research shows you’re eligible for a local, state, or national lineage society, start preparing your application. Lineage societies require proof of information and relationships, and they keep their members’ application materials. This means the records you submit for your family will be saved and made available to future researchers. The key to success? There’s just one. Don’t wait until it’s too late. I plan to heed Tom Jones' advice and make preserving my family history one of my top priorities. What ways have you found to preserve yours? Glad you had a great seminar! I'm trying to get the courage to ask my dad' cousin for DNA. I don't really know her but recognize the importance of gathering DNA for this family line in particular. I know what you mean, Michelle. There's a great-uncle I don't really know at all that I need to get the courage to approach. I think I'll contact him about just getting together to talk and look at pictures, but take a DNA kit in my car just in case. If I'm able to bring up testing and he seems agreeable, we can do it right then. If not, it will still be good to talk with him. Making that initial contact is the hard part! It was a great seminar, wasn't it? The full day format really allowed all of us a chance to learn and absorb. This is just one of the many points from Tom's presentations that made an impression on me. I'm glad to hear it resonated with you, too. Thanks for reading! Thanks so much, Jana! I really appreciate your endorsement. A wonderful weekend to you, too! Thanks for the shout-out, Shelley, and especially for an excellent "hit list" of ways to preserve our family history. It's not only artifacts and keepsakes that need preservation; those stories from our family elders will slip away if we don't take time to record them now. So true, Denise! We can look at an old photograph and know we need to preserve it, but it seems harder to find ways and time to preserve the stories we've heard--at least for me. I'm grateful that your book gives so many ideas for archiving and organizing all these treasures. Thanks for the reminders! My husband's great aunt will turn 95 this month. I know I need to record her stories while her memory is sharp! I think I'll plan a trip to visit her. That sounds like a great idea, Dana! At 95, there's no time like the present :) Thanks for reading! I've sent a DNA kit to the last surviving male cousin of my generation. Just got word that the kit has arrived to be processed...then I went and I upgraded to the 67 marker since I had been able to save a few pennies last month. My cousin's age? Almost 84! So glad we were encouraged to do this. Every time we talk I have a notebook handy...sometimes he repeats the same stories but once in a while I get a new one! As I am the youngest cousin I hear bits and pieces I've never heard about my grandparents, my dad and my uncles. Thanks for your blog! How wonderful that you were able to get your cousin's DNA, and that you're collecting his stories, D.B. Very smart to always have a notebook handy--I've been known to grab an envelope or scratch pad in a pinch. Thanks for reading and your inspiring comment!